This is the website of the Abergavenny branch of The Palestinian Solidarity Campaign (PSC). The PSC campaigns for peace & justice for Palestinians, in support of international law and human rights & against all racism. Help us to build a new mass anti Apartheid movement for Palestine. PSC is an independent, non-governmental and non-party political organisation with members from many communities across Britain, and increasingly throughout the world. PSC represents people in Britain from all faiths and political parties, who have come together to work for justice for the Palestinian people. 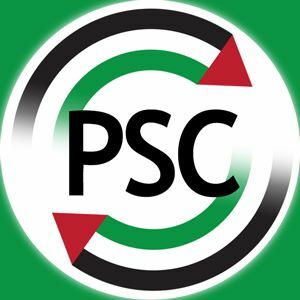 PSC was established to campaign for Palestinian rights, including the right to self-determination and the right of return, and to oppose Israel’s occupation and violations of international law. PSC is opposed to all forms of racism, including anti-Jewish prejudice and Islamophobia.